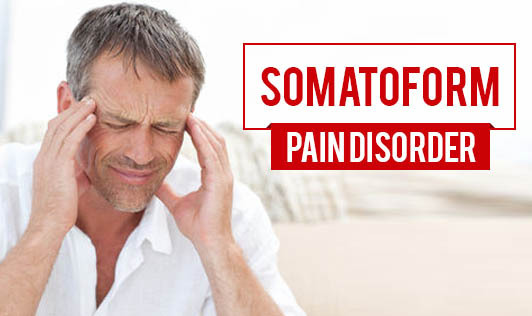 Somatoform Pain disorder is classified as a mental disorder because psychological factors play an important role in the onset, severity or maintenance of pain. The term "somatoform" refers to symptoms that are physical but are not completely understood as a result of a general medical or as direct effects of a substance. Earlier, the disorder was thought to be linked to emotional stress and the pain was often said to be "all in their head". However, people with this disorder experience painful sensations in a way that increases their pain level. This pain and worry create a cycle that is quite hard to break. Individuals who have a history of sexual or physical abuse are more likely to have this condition. Not every individual with this disorder has a history of abuse. Contact a mental health professional if you or a loved one experiences chronic pain!